I am so excited to be painting in traditional oils. I have been working and teaching watercolors for years and have decided I needed to change up my style and learn something new. Here is a picture of one of my first oil paintings. 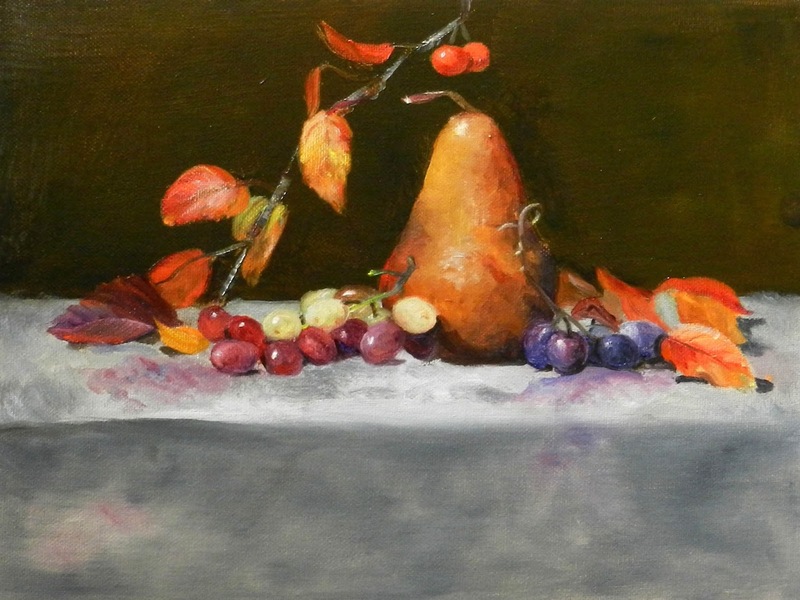 Pear and Grapes is 9" X 12". I will be displaying it in my gallery space in Tequesta Florida soon. Please contact me if you are interested in painting classes or to purchase this painting.